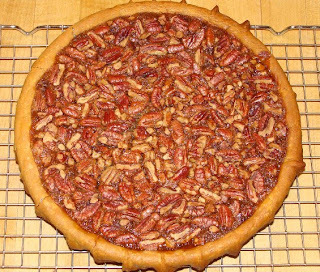 Pecan is my favorite pie, and I don't like crust either. I've made it successfully in a Corning ware container. Amy would pick the nuts from the top of the pie and leave the gooey. Oh, the gooey's the bestest part! Did you have to adjust the baking time to do it without the crust? I'm sorry, but it seems to me if you invite people to your blog to read about "puh-CAHN" pie, the least YOU can do is offer us a slice with coffee! 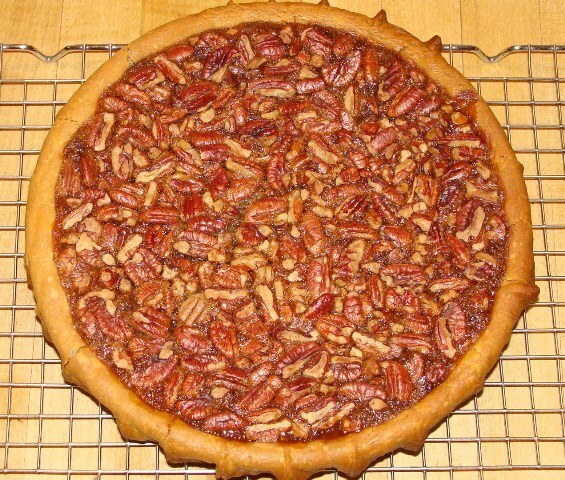 Next time we have a get-together with food, I'm bringing pecan pie. Though you may have to remind me. YUM! I keep finding recipes that change up the Pecan Pie recipe . . . and I personally don't know how you can change perfection! If you find a crustless recipe--send it my way. I can't make pie crust even if my life depended on it! I've done a decent job on crusts, but when you don't like them, it seems a waste of time. Thanks for the heads up on the Herbes de Provence. I'll have to get some.